Regardless of the sponsorship amount, Licking Soil & Water is committed to turning your donation into educational experiences for our community. To show our appreciation, your name and/or logo will be featured on Licking Soil & Water’s social media, website, and sponsor recognition displays. You’ll also receive an invite to our Volunteer and Sponsor Recognition event, as well as our Annual Banquet where sponsors are featured during the program. Every Drop Counts (up to $99) For those of us that want to support Licking Soil & Water’s work to conserve natural resources but aren’t able to give at a higher level. 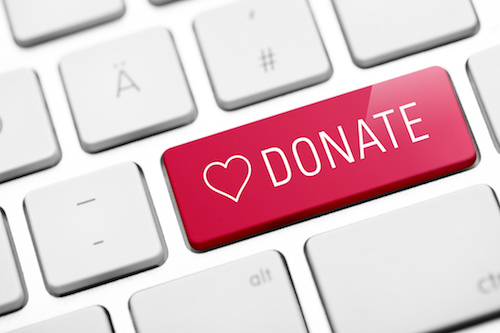 This level of giving is popular for first-time donations from individuals. Ripples on the Pond ($100-$249) This level of giving is popular for first-time donations from businesses and organizations. Recognition includes a certificate of sponsorship as well as the benefits listed above. Ride the Wave ($250-$499) Recognition includes being featured in one issue of Conservation Notes, the Licking Soil & Water quarterly newsletter that reaches 5,000 people. Additionally, you’ll receive two complimentary tickets to the Annual Banquet, as well as the benefits listed above. Shoot the Rapid ($500-$999) Recognition includes being featured in two issues of Conservation Notes, the Licking Soil & Water quarterly newsletter that reaches 5,000 people. Additionally, you’ll receive four complimentary tickets to the Annual Banquet and reserved table display at the banquet for your business or organization. Benefits listed above are also included at this level of commitment. Surfs Up Tsunami ($1000 and Up) Recognition includes being featured in three issues of Conservation Notes, the Licking Soil & Water quarterly newsletter that reaches 5,000 people. Additionally, you’ll receive four complimentary tickets to the Annual Banquet and reserved table display space for your business or organization. A sponsorship plaque will be presented to you at the Annual Banquet. Benefits listed above are also included at this level of commitment.